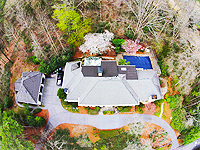 Realtors, leasing agents and homeowners are starting to see the benefits of having aerial photography and a high resolution drone video of a house, condo or apartment complex at their disposal. They can be posted on websites, uploaded to YouTube and shared on social media. 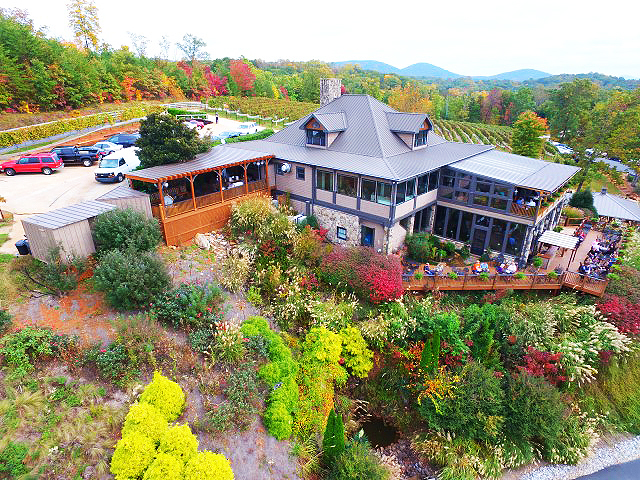 Incorporating our interior photos and video into a drone flyover creates a powerful marketing piece, we call a drone virtual tour, that can generate additional online interest in a property. Marketing your commercial property with tools that include aerial photography can create an intimite persona for your office or retail complex. 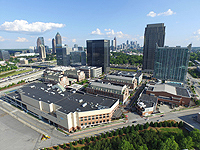 Potential tenants or buyers can gain a unique perspective of your building, strip center or mall and how it is situated to traffic flow, the surrounding environment, and the afforded views it may offer. Drone videos and aerial photos can be shot, day or night, from multiple angles giving you a plethora of options. Georgia Drone Services offers footage that will make your wedding or Bar Mitzvah a truly memorable event. We'll capture your special function from a vantage point that would normally be unachievable. Need indoor video coverage, as well? We utilize the DJI Osmo 3-axis gimbal camera to achieve smooth professional results that we'll edit in post-production with music in the background. 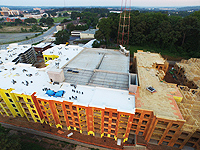 Aerial photography and video of your construction site filmed on a consistent basis can provide crucial information to project managers, executive staff, investors and lenders. They can also be used for marketing purposes to ignite pre-sales and pre-leasing opportunities. Affordable packages are available on a daily, weekly, or monthly basis or can be custom-tailored to suit your individual needs. 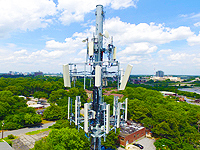 Georgia Drone Services can assist you with inspections of industrial equipment and facilities including cell and water towers, power lines, antennas, wind mills, smoke stacks, pipelines, solar panels, bridges, and more. Insurance companies can utilize our footage to assess claims related to storm damage, accidents or catastrophic events. Farmers now have the ability to easily monitor crop growth and density, areas of damage and herd distribution. 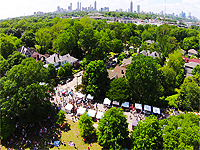 Thinking of having a corporate or community event or festival? Our experienced drone pilots can safely film it. In conjuction with our professional photographers, we can provide both, aerial photography and "ground-based" images that can be utilized for promotions, marketing, corporate identity and goodwill projects. Need coverage of a sporting event? Our drones can follow the action, provide HD quality footage and can even stream it live on Youtube!